Tough on grease and powerful on plastic. Gets dishes sparkling clean. Leaves behind a pleasant scent. 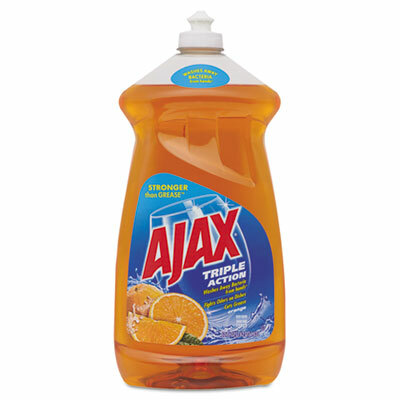 Antibacterial formula fights germs on hands when used as a hand soap. Application: Hand Dishwashing; Applicable Material: Ceramic; Glass; Metal; Plastic; Chemical Compound: Ammonium C12-15 Pareth; Dirt Types: Cooked-On Grease; Dirt; Food Particles; Organic Matter.